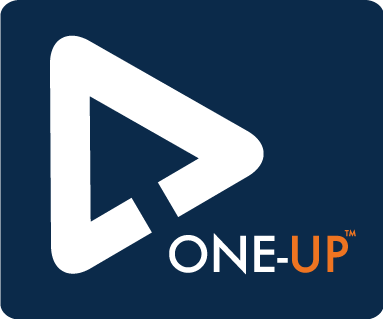 ONE-UP provides sales leaders with a highly scalable way to implement and track a coaching methodology that also measures for coaching effectiveness. At this stage, we begin analysis of your coaching cloud data to provide insights into how well and how often coaching is occurring. And most importantly we show how your managers’ coaching is impacting their teams’ performance with hard data. Executives will be better informed, sales managers will be better coaches and sales teams will be better producers. What's in it for . . .
Executing our methodology is proven to show significant impact on an organization's sales growth year after year. Here are the key steps we help you execute during our working relationship. Our cutting-edge survey gives executive sales leaders a benchmark that allows them the access into how well (quality), and how often (quantity), their sales managers are coaching by asking the organization’s sales reps to provide feedback on their experiences with their front-line manager. EcSell will lead an academy with your team's front-line leaders where they will learn more about coaching than they have in their entire management career. Managers will leave with a deeper understanding about the impact of coaching, the activities proven to grow sales and coaching best practices. This is your unique coaching playbook which ensures that the education and training just learned is on-going and reinforced. Without this effective follow-up strategy, your money and time spent on measuring and educating your front-line leaders is wasted. Just because coaching activities are occurring and being tracked (quantitative coaching), doesn't indicate they are being done well (qualitative coaching). As a result, objective coaching quality measurements will be taken as often as quarterly to assist in the development and growth methodology.